Celebrating RAG’s 15th Birthday, #luvRedlands draws inspiration from more than 4,800 residents and visitors who shared what they feel is unique to the Redlands as part of the City Brand project. Showcasing artworks from the RAG Collection #luvRedlands is intended to be fun and playful, engaging with visitors of all ages while telling some of the stories behind the new place brand. RAG acknowledges the contribution of the RCC Communication, Engagement and Tourism team. 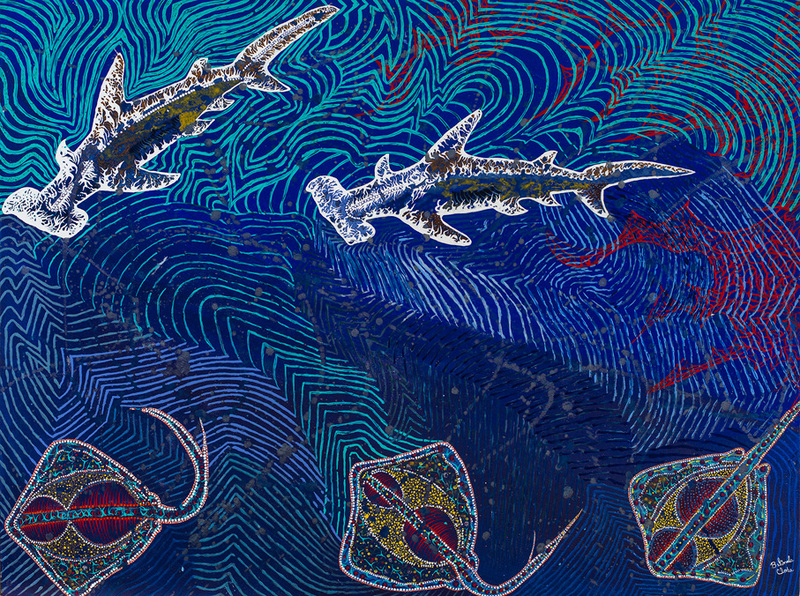 Image: Belinda Close, Hammerheads chasing stingrays 2014, synthetic polymer paint on canvas. Redland Art Gallery Collection. Acquired in 2014 with Redland Art Gallery Acquisition Funds. Courtesy of the artist. Photography by Carl Warner.